Why Nicaragua - BECA. The BECA.org Foundation. Empowering Youth Education in Nicaragua. 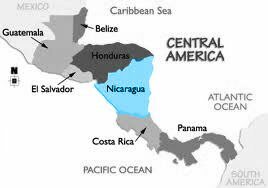 Nicaragua is the poorest country in Central America, and considered to be the second poorest nation in the Americas, after Haiti. According to a 2001 World Bank report, approximately 45.8% of the Nicaraguan population lives on less than $2 per day, and 15.1% lives on less than $1 per day. Among the factors that contribute to poverty in Nicaragua, lack of education is at the top of the list. Moderate and extreme poverty are consistently associated with low educational levels, large family sizes, and dependence on agricultural activities, while wealthier families in Nicaragua exhibit high educational levels, smaller family sizes, and diversified incomes. Furthermore, children from wealthier households are five times more likely to attend school than children from families that make up the bottom 20% of wealth in Nicaragua. BECA believes in the power of collaboration and partnership. The sustainability of BECA depends upon the cultivation of mutual beneficial corporate partnerships and strategic alliances.